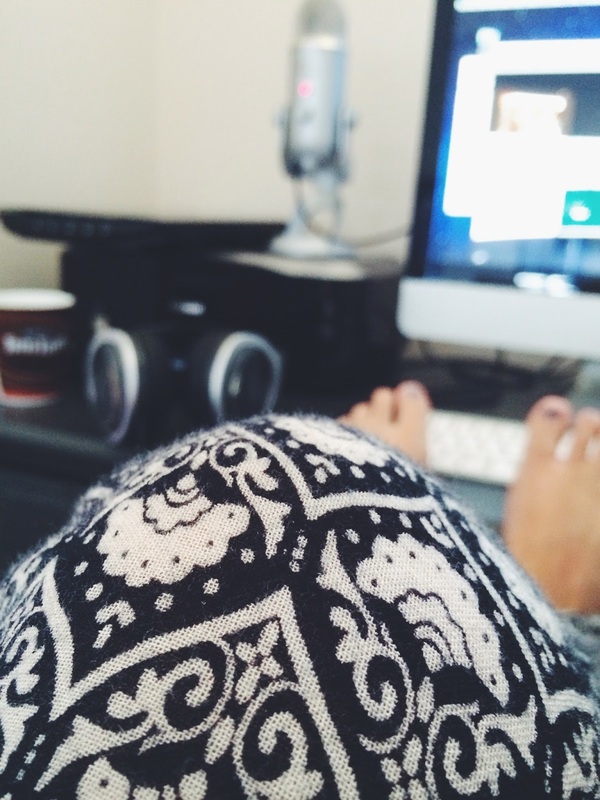 Right now, I'm sitting upstairs, sipping my tea, both of my children are finally down for their afternoon naps, this is when I sneak in some time to blog. I'm actually quite lucky that most days their naps tend to overlap for a least an hour! Even though most days I think about just lolling about on the couch, watching an episode of New Girl or thoughtlessly scrolling through Facebook, instead I head upstairs and work on my blog, or blog related things. I leave the dishes, the laundry, the vacuuming and whatever other household chores are tugging at me and begging to be taken care of. They sit, ignored, for the time being. Earlier this year I was complaining to Joel about how I have no time to blog, and if I really want to make a go of it then I really need more time. He gave me some advice, he just said, you need to make time, if it is something you are passionate about, then you need to make the time to do it. I argued with him, saying he didn't understand, I just didn't have any time. To which he reminded me, I had just spent an hour watching Call The Midwife, and instead of that, I could have spent an hour writing a blog post. So, I started to adjust the way I did things, I cut out some of my 'down time' and I made blogging a priority and decided some of the household duties could go undone, and some of the time I spent not doing much in the evenings could be utilised better. I have found is that it is really easy for me to sit on the couch for three hours in the evening, feeling tired and lazy and the night disappears before I know it. But, when I force myself to get out of that couch potato mode, and do something creative, and step away from the TV, I actually feel better for it. I feel inspired and driven and funnily enough, not as tired! For me, blogging is something that inspires me, it is something creative and enjoyable that I do for ME (and for whoever wants to come along for the ride, I love that you take the time to read what I write!). It is my time, my thing that I am working on, creating, growing and dreaming about. I love having goals that I am aiming for and a vision that I want to achieve. Most days I wish that I had 'more time' to blog, more time to make Yellow Dandy into what the vision in my head of it is. But, I don't, and I don't think I will have that 'time' for quite a few years, and I'm not willing to sacrifice my time with my kids, so instead I just try to make the most of the time that I do have. It is a hard balance. I want to spend time relaxing and recharging and I want to spend time with my husband hanging out in the evenings, and I also want to craft and blog, there is just not enough time in the day. I push myself and stay up too late in the evening, then I am up with the human alarm clock at 6am, not to mention night feeds. I am tired A LOT. Often I question if this is the best use of my time, if it really will pay off, if the sacrifices that I make are worth it. But, blogging I think helps me to be more creative, as a person, as a Mum, as a cook, and just in life. Often, it inspires me to try new things or challenge myself or create something so that I have something to blog about, and I learn and grow and have fun along the way! So, even if I never really 'make' it as a blogger, or if I never achieve the aspirations that I have, that's ok, because that is not really why I do it. I do it, because I really do love it. Cheeseballs I know.. but its true! So, do you have a blog or another project on the go? Or are you dreaming of starting one but don't know where to find the time! I'm here to encourage you, just make the time, otherwise you might always wonder what if! 2 comments on "When Do I Find The Time To Blog?"